Those who have been crawling around the Internet for sometime now would recognize that there are a few brand new voice changers (software program) popped up onto the top of the Google search listing for keyword: voice changer/voice changer software/voice effects. 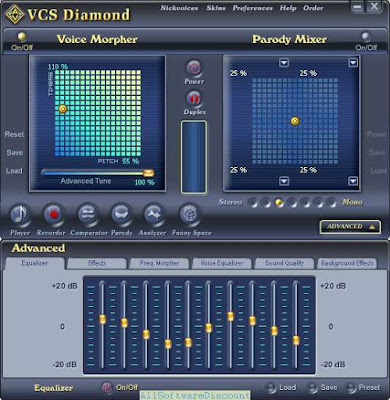 One of those is a freeware called Skype Voice Changer Software from Skypefx.CodePlex.com. And, most of us would think that it is such a good program for being displayed on Google's top listing. Nope, I'd doubt that! There are 3 points make me cautious with this program and would not waste my time on it. The First is, it no longer supported and updated. 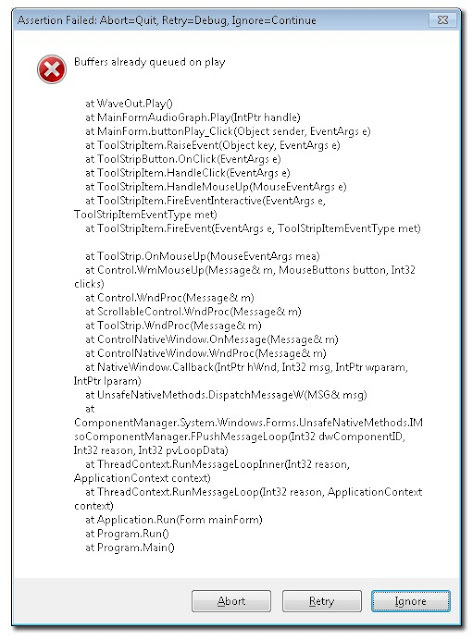 Visiting the site even for the first time would make you notice a line right below the screenshot of the program; "Last edited Feb 3, 2009 at 2:01 PM by markheath, version 3" which means that it has been nearly 4 years since the author made his last update for the program, and he would never update it again. So, what do really matter here is many things have changes, Skype made updates frequently therefore a program that is not supported by its author will no longer be compatible with Skype, it will not work and may corrupt the system. The Second is, the program comes too much into Skype. 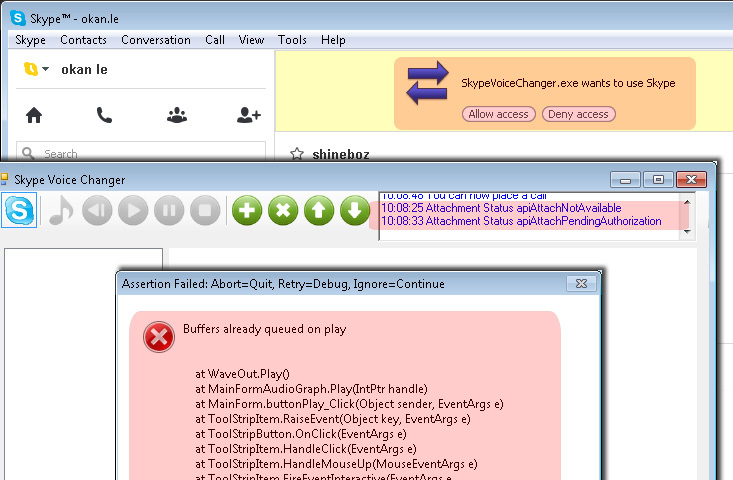 For the first time of trying to use the Codeplex - Skype Voice Changer program with Skype, it appears that the program tried to connect Skype with Skype API. I must hit the Allow button from Skype to let the program finish the connecting that. 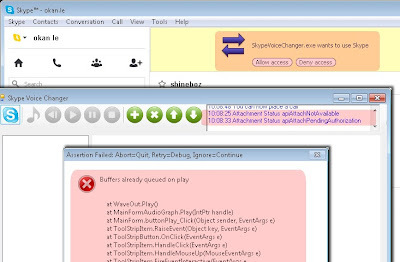 This would be a nice job for a program to work with Skype API, however, think about it; when using a freeware and allowing it to connect to your Skype account without any guarantee. So, that's it - the feeling of using something free without any guarantee or supports. The Third is, the true benefits of the program. I tried many voice changer programs, and I do agree that the Skype Voice Changer Software does it job well with the pitch-changing stuffs. But, that's not enough. The others effects do not help much for improving output voice because it seemed to be freely organized - this is way the developer always do. That's why a good program need a team to work on it from drafting, designing, coding to publishing and supporting. I would not go in details of the VoizGame or any other voice changer software in this post. You you are interested in my topics, you may find the other voice changer software's reviews via my blog for voice changer software dwonloads, tutorials and coupon codes. Please kindly understand that I created this topic not-meaning that I'd make any offence to the author of the very good program - Skype Voice Changer. I published this post in hope that it would save some of you times when looking for a proper voice changer program to use. And, I must say that most of the times, I am satisfied with Google search results. However, in this case, I think that there must be a mistake in recent Google's updates related to SEO things that makes Google keeps listing such a not useful links or no-longer useful links on top of the search result. Hey, I love Skype & I use it quite often for my social and personal interactions. For business meetings, security & guaranteed attendance is what I need, hence, have switched over to RHUB web conferencing appliances.